Sheri's Book Treasures is a leading Mid-Western Iowa provider of nearly 1 million books, cds, dvds, and other media using our website and retail outlet. Our address and assorted information. The warehouse may be opened by appointment only during all other times of the year. Please call ahead and schedule a time. 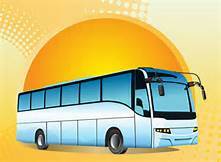 Tour Buses and other Groups are always welcome by appointment.